LIKE BRAND NEW! This truly one of a kind, top quality, 6-year-new home is tastefully designed and custom-built by a professional designer. 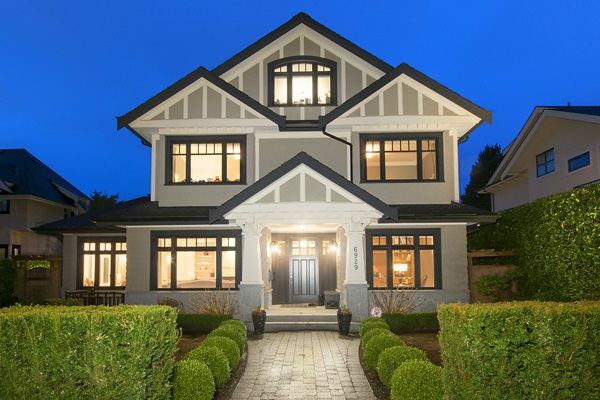 Located in the heart of prime South Granville. This nearly 8000sq ft lot offers nearly 5500sq ft of luxury living space over 4 levels: 4 generous sized and quiet bedroom suites on the top floors; entertainment sized living, dining and a family room that opens up entirely to the heated covered patio; a gourmet kitchen equipped with brand name appliances. and a den finishes off the main floor; Basement offers huge spaces for entertaining family and guests with a huge rec room with wet bar. professionally equipped media room, hobby, and exercise room; 2 more bedrooms suites to accommodate guests and in-laws. Well manicured front and back yard, excellent curb appeal, built of attention to details and top craftsmanship, this is truly a marble! Must see! Top school catchment within walking distance.